Pamir-Tibet Overland Pilgrimage tour takes you to a landscape that few people have ever seen at first hand; and yet it still exerts a powerful hold on the imagination of the world. A custom-tailored self-drive adventure from Kashi, Pamir to Mt. 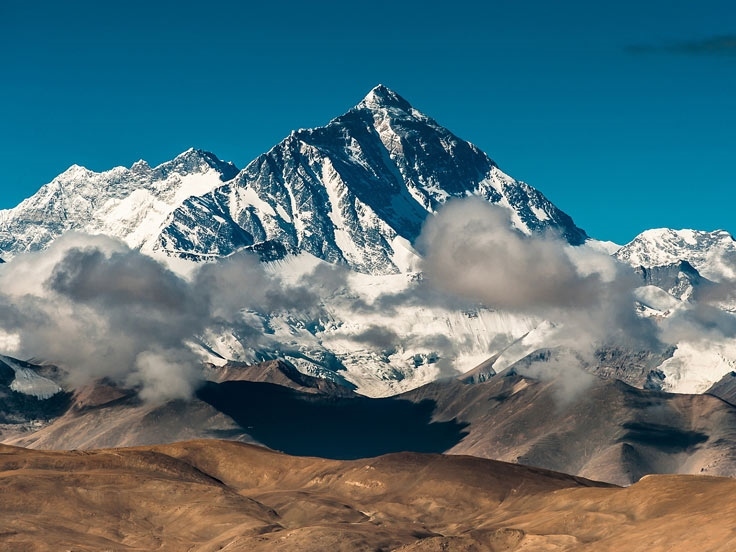 Everest, Tibet is sure to discover the most fascinating places on earth. Arrive in China through Turgart Pass, the China-Kyrgyzstan border or through the Khunjerab Pass, the China-Pakistan border. Upon arrival, meet your guide and check in at your hotel. Note: The first two days should be weekdays in order to meet the office hours of the inbound check and application of driving permit. Today get your number plate and driving permit(s) from the traffic authority. Enjoy free time for the rest of the day. You could buy food and provisions that you will need for the trip. Today is free to explore on your own in Kashgar. We recommend you to pay a visit to the Kashgar Bazaar, one of the largest outdoor markets in mid-Asia. Little donkeys with harmoniously tinkling bells thread their way among the throngs of people entering and leaving the bazaar. Here you can find beautiful pots and bowls engraved with delicate and intricate traditional designs, or the simple, everyday kitchenware. The Old Town of Kashgar and the Id Kah Mosque are also on our recommendation list. 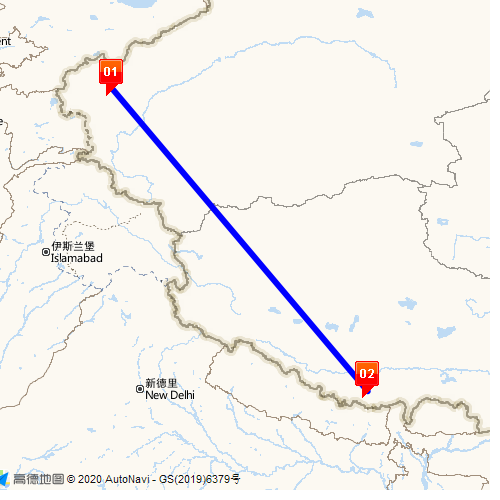 Head northwest from Kashgar to Yecheng in the early morning via G315 Highway. Upon arrival in Yecheng, take a tour in Yecheng if the time permits. Situated on the southern rim of the Taklamakan desert, Yecheng is the main centre for Chinese immigration into western Xinjiang and it has become quite a large, sprawling town to date. Today you'll drive to Mazar. Mazar is a special religious system with strong regional characteristics practiced by Muslims in China's Xinjiang Uygur Autonomous Region. Mazar means "places of paying homage" in Arabic, which refers to tombs of the saints. Muslims here believe that Mazar has sacred position and immortal power, and that every Muslim should pay homage to it and pray to the soul of the saint buried in Mazar. Try to pray and make wish before Mazar, you will probably gain spiritual freedom and happiness sometime somehow. Then the local hosts in Mazar will provide you with a wonderful home visit. Smell the lifestyle and taste the culture by having a nice chat and some belly laughs with the hospitable locals. Drive from Mazar to Dahongliutan. Hold your breath, as you will pass the “Dead Ditch”. Though a formidable name, the “Dead Ditch” is well worthy of a visit, as it has an overwhelming altitude of 6,100 meters. Drive on till you reach Dahongliutan. After one night’s sound sleep, you'll head to Songxi from Dahongliutan. Prepare yourself for the charming scenery along the way. Now you're officially in Tibet, since Songxi is the foremost northwestern county of Tibet. Explore on your own and get ready for the journey of the following day. Your schedule today will cover Songxi and Rutok. Make a quit pitstop at Bankun Tso. Bevies of seagulls, gaggles of wild geese and shoals of fish mirror into your eyes over the clear lake water. And don't forget your unfinished journey--head on to Rutok, a major production base for cashmere. Today you have a loose schedule. Hit the road from Rutok in the morning hours, and you'll reach Gar (Shiquanhe) soon. Gar Monastery is set in one of the most beautiful locations of any monastery in Tibet. It is located in the Dza River valley at an elevation of around 4000m. An evergreen forest surrounds the monastery while craggy mountain peaks can be seen all around. A small lake is also located in the valley below the monastery. Arrive in Gar town in the late afternoon. It is a new and modern town. We will recreate here by nice meals and comfortable bath. You'll set off for Zanda County today. Time permitted, you'll have a good signtseeing around the Zanda soil forest landscape, the former lake sediment in the ancient times. Today we will have a break in Zanda from the tour. You'll visit the Guge Ruins in Zanda. The Guge Ruins are known as the Old Summer Palace of Tibet. Established in the 10th century, the Guge Kingdom was founded by one branch of descendants of a nearby crumbled Kingdom. Today continue to drive to Barga. All the day you will drive in the wide land from Zanda to Barga. Nature turned out to be more virgin. Wild animals, salt lakes will be today’s view. The wild donkeys may have a race with you in the sparse land. Bid farewell to Zanda and you will drive to Mt. Kailashi. Mt. Kailash is a peak in the Gangdise Mountains. It lies near the source of some of the longest rivers in Asia: the Indus River, the Sutlej River, the Brahmaputra River, and the Karnali River. It is considered a sacred place in four religions: Bön, Buddhism, Hinduism and Jainism. You will meet the pilgrims from Tibet, India and nearby. Here you can do nothing but purify your heart. Drive to Manasarovar Lake in the morning. Today’s highlight is an excursion to Lake Manasarowar. Famous as one of the three holy Lakes in Tibet, Lake Manasarovara is the most venerated of the Tibet’s lakes. The altitude of the lake is about 4,588 meters, making it one of the highest fresh water lakes in the world. Enjoy the extremely blue sea of Manasarovar, you can make a pilgrimage in the forest of Tibetan wind and horse flags. The sacred Mt. Kailashi is guarding this land in white armor. Today our destination is Purang. Situated to the south of Mount Kailash, near the borders with India and Nepal, Purang is a very ancient trading post and staging point for pilgrims to Mount Kailash. Drive to Zhongba via Payang. Zhongba is the largest county of the Shigatse Prefecture. Drive to Tingri via G219 and G318. Pause by Saga. Upon arrival, take a rest and prepare for the following day’s journey. Today enjoy a rare opportunity to visit the Base Camp of Everest. At Base Camp of Everest, enjoy the natural wonders of the highest peak in the world. Drive from Dingri to Zhangmu Pass, the border between China and Nepal. Drive out of China and enter Nepal. 1. The administration only issues permits to the certified travel operators, not availed to any requirement by individual travelers. We'll assist you with driving, import & re-export permits and licenses at the public security bureau, traffic bureaus and the Customs for a more flexible and efficient journey. 2. Leaving the team is not allowed. Tour guide service will be provided throughout the journey. 3. The above quotations are for reference and are subject to change during some Chinese festivals, holidays, and big events. You are suggested to confirm the tour price with travel adviser in such cases. 4. Due to the road conditions, weather, and availability of hotels, the tour guide may adjust the program accordingly. - Road toll, parking fee and any cost related to the vehicle. Travel route Raiders: “Pamir-Tibet Overland Expedition”introduces you to Kashgar travel guides, Kashgar holiday guide and customized personalized service for your Kashgar travel routes as well as Kashgar vacation packages. There are real Kashgar tourist route evaluation, travel Q&As. If you would like to book tickets and hotels, to find China travel agencies / China tour companies for your travel to China.